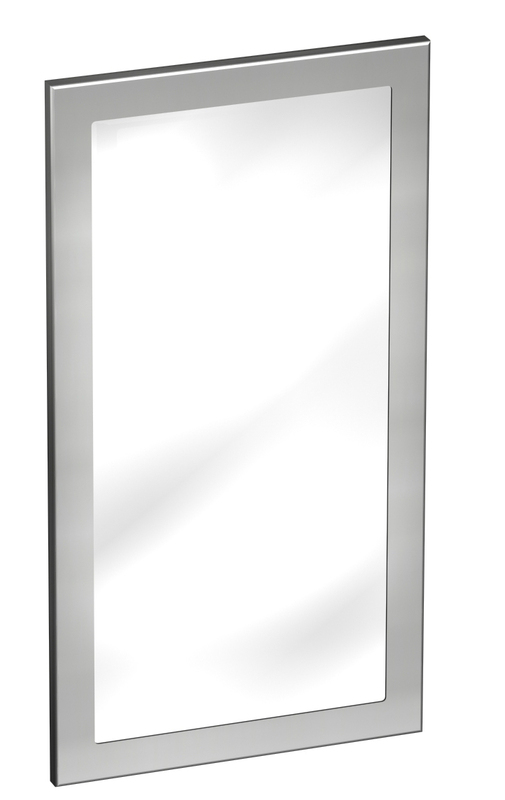 This option provides a 1/4" thick Plexiglas mirror in lieu of stainless steel and includes a 1/4" thick fiberboard backing. Plexiglas is virtually unbreakable having about 14 times the strength of glass, and has excellent reflective qualities. However, the surface is subject to scratching.